Results RNA LLC, manufacturer of Lubrisine Eye Drops, has issued a voluntary recall of its product after a Food & Drug Administration (FDA) inspection found that manufacturers were “using practices that do not support its sterility and contained undeclared colloidal silver,” per a recent press release put out by Results RNA. According to the release, repeated exposure to colloidal silver, over time, can lead to discoloration of the conjunctiva (a thin membrane that helps keep your eyes lubricated and safe from dust particles). More dangerous, perhaps, is the risk of infections can that come with exposure to non-sterile eye drops. At this time, no injuries (or other adverse effects) have been reported. Which eye drops were recalled? Manufacturing date: May 12, 2012 through present day. All lots manufactured during this time have been recalled. I have recalled eye drops. What do I do? Call 203-290-2992 between 8:00am and 5:00pm MST, and speak to a representative who can help you. Submit your questions to customercare@lubrisine.com. Visit the company’s website and download the Return Response Form (for free), and submit your claim online. I used Lubrisine eye drops and had an adverse reaction. What do I do? 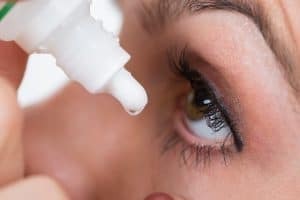 First, contact your doctor immediately, and schedule a check-up to ensure that you have not developed a serious infection as a result of using the eyedrops. You may need to schedule an appointment with your ophthalmologist if your reaction is severe or chronic – or if you just want to make sure you’re seen by a specialist. You can also call 1-800-332-1088 to request a form. If you currently use the recalled Lubrisine eye drops, we urge you to stop using them immediately. Even if you have not suffered an injury, it is better to be safe than sorry. Defective products do not always cause injuries right away, and the build-up of colloidal silver in your system could be harmful. If you or your loved one was using Lubrisine eye drops and developed an infection, you may be entitled to compensation for your lost wages, medical expenses, and your pain and suffering. To speak with an experienced Phoenix product liability lawyer from Plattner Verderame, P.C., please call 602-783-8793, or fill out our contact form.